President Donald Trump's budget proposal will eliminate existing protections for wild horses and could send thousands of free-roaming mustangs to foreign slaughterhouses for processing as food. The budget calls for saving $10 million next year by selling horses caught in the wild and eliminates the current precedent that the animals cannot be sold for slaughter, according to the Associated Press. Wild horse advocates, who say the creatures are an icon of the American West, claim the Trump administration is trying to appeal to members of the livestock industry who don't want the 59,000 mustangs competing for food across rangeland in 10 states managed by the U.S. Bureau of Land Management. "This is simply a way to placate a very well-funded and vocal livestock lobby," Laura Leigh, president of the nonprofit protection group Wild Horse Education, told the AP. Ranchers and rural communities have been pitted against groups that want to protect these wild horses for decades. The National Cattlemen's Beef Association and other groups have been urging the Bureau of Land Management for years to allow wild horses to be sold for slaughter in order to create more room in government-issued corrals that can be utilized to capture more animals. Presidents George W. Bush, Bill Clinton and Barack Obama have also struggled with this conflict, as the cost of managing nearly 60,000 horses on the range and another 45,000 currently kept in U.S. holding pens and contracted private pastures has greatly increased over the years. Trump's budget anticipates that the anticipated $10 million savings will come through a reduction in the cost of containing and feeding the wild horses. There would also be cutbacks on roundups and contraception programs for the horses, the AP reports. The 1971 Free-Roaming Wild Horse and Burro Act permits the sale of elderly or unadoptable horses to slaughterhouses, but for years, Congress has not allowed the sale of wild horses for slaughter. Horse slaughterhouses are banned in the United States but legal in other countries such as Canada, Mexico and parts of Europe where horse meat is considered a delicacy. The American Society for the Prevention of Cruelty to Animals sad Trump's budget proposal is disturbing. "Wild horses can and should be humanely managed on-range using simple fertility control, yet the BLM would rather make these innocent animals pay for draconian budget cuts with their very lives," ASPCA President Matt Bershadker told the AP. 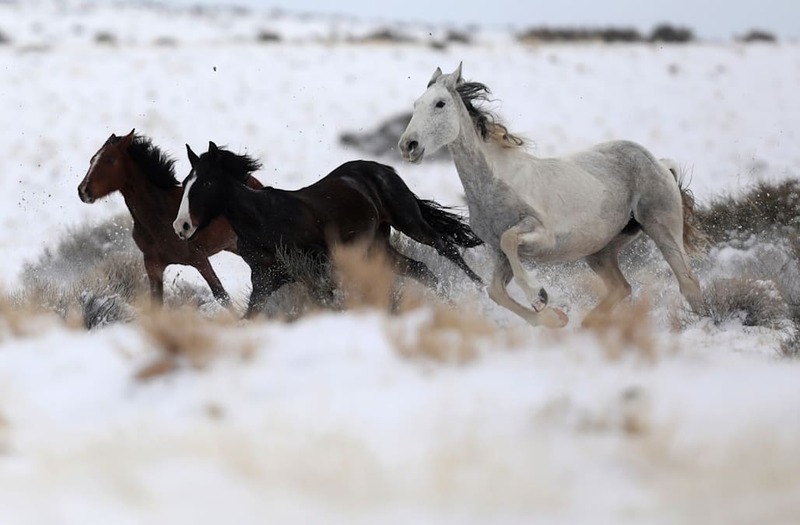 Suzanne Roy, executive director of the American Wild Horse Campaign, told the AP that the plan might put the horses on the brink of extinction. "America can't be great if these national symbols of freedom are destroyed," she said.